It’s the most wonderful time of the year! There’s snow on the ground, laughter in the air, and best of all, most college students are on winter break. While you enjoy this much-needed time off, you may want to apply for some financial aid for next year. This holiday, give yourself the gift of scholarship money. 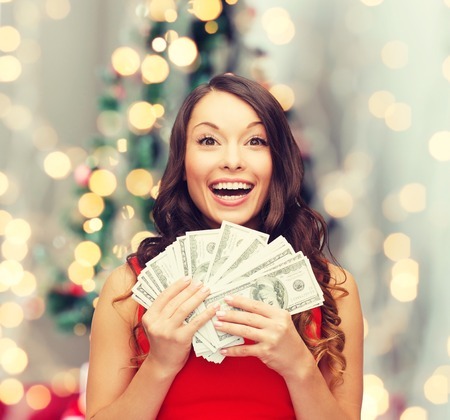 Check out these exciting holiday-themed scholarships you should apply for this year. $5,000 Thank You Card Scholarship: Write a thank-you card for your favorite science teacher for a chance to win $5,000. You must be 13 to 25 years-old to enter. There are no extra essays or minimum GPA requirements. Create a Greeting Card Scholarship: To apply for this scholarship, submit an original photo or piece of artwork that could be used as the front of a greeting card. Submissions must be turned in by March 1, 2018 and the winner will be announced April 30. The greeting card design can be holiday themed, or it could be for another special occasion. The winning entry earns $10,000, plus $1,000 for the winner’s school. Poster Contest for High School Students Scholarship: High school students from grades 9 through 12 are eligible to enter this scholarship contest. Applicants must create a poster based on the theme “One Person Can Make a Difference.” The awards range from $250 to $1,000, and you may apply with either a physical poster or a digital copy of a poster design. AACT John Kitt Memorial Scholarship: This scholarship is for college sophomores, juniors and seniors who have an interest in confectionery technology (tools and techniques used for making candy). Students must be majoring in food science, biological science, chemical science, or similar areas. The award is $5,000. ScholarshipPoints Holiday Themed Scholarship Drawings: This website allows students to earn points by completing certain tasks. Points act as entry opportunities for college scholarships. The more points you have, the more scholarships you can apply for. This year, they have several holiday-themed scholarships, like the Frosty the Doughman Scholarship and the Gingerbread Housing Scholarship, each worth $1,000. Sign up for a free account on their website and start earning points right away. You don’t have to limit yourself to holiday-themed scholarships over winter break. You can apply for any scholarships that have an upcoming deadline. Many scholarship entries end in January, so you still have time to squeeze in those last-minute applications. Every penny counts, so you might as well make the most of your time away from school. Another opportunity to consider during the holiday break is local contests for gift-wrapping, building a gingerbread house, making your own ugly sweater, etc. Those contests may not be set up for scholarships specifically, but you can still use the money you win to help pay for college. Check out some of the local social media groups to see if there are any events in your area, or ask around some of the most popular businesses in town (clubs, bars, art studios, bakeries, etc.). You never know what you might find. Yet another way to make money during winter break is to wrap presents for a flat fee. You could also charge money to put up or take down people’s outdoor Christmas displays, or you could earn money dressing up as an elf for a Santa visit. These seasonal jobs require minimal commitment, so you won’t be obligated to do any work once you go back to school. If you can reduce your cost for next semester, why not go for it? If you’re not worried about your college expenses next semester, consider enhancing your resume around this time of year. There are plenty of volunteer efforts that you can join, and all of them will look great on college or job applications. Choose an organization that you personally support, and see what you can do to help out during the holidays. Pass out meals to those in need, sort toy donations for families, collect money for a worthy cause, or do anything else that matters to you. This is the perfect way to embrace the spirit of the season and improve your opportunities in the future.